The Turkish Official Spoke To Wsj: "priest Brunson May Be Released." ›The Turkish official spoke to WSJ: "Priest Brunson may be released." A shocked claim was raised against the US priest Brunson, who was detained under house arrest in Izmir. The Turkish official, who did not announce his name, announced to the Wall Street Journal, the American newspaper, that the priest, Brunson, could be released on October 12th. American broadcasting in the Wall Street Journal (WSJ) newspaper, with the Reverend Andrew Brunson cause tension between the US and Turkey "free trial can be left on October 12," he wrote. A Turkish official, quoted by WSJ, used the term "a possible outcome" regarding the release of priest Brunson at his trial in October. 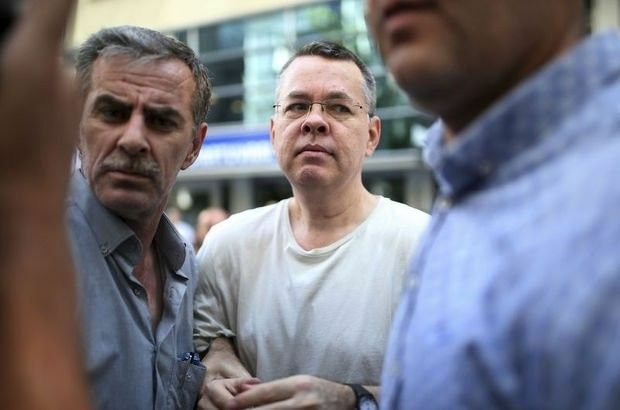 The Turkish official, who did not announce the name of "the signal" that Priest Brunson may be freed, according to the American newspaper, says that in order to do so, the American cleric should end the pressure imposed by the US on sending it to the United States. The Wall Street Journal's Turkey bureau chief David Gauthier-Villars and Washington correspondent Dion news penned by my Nissenba, about Brunson priest of the White House written in it decided to reduce the sanctions taken against Turkey. Behind this decision, Turkey's economic problems of developing that are being expressed fear may spread to other markets.